The very first Boppy Pillow TM was introduced to the world in 1989. It is now one of the most popular nursery products in the world. 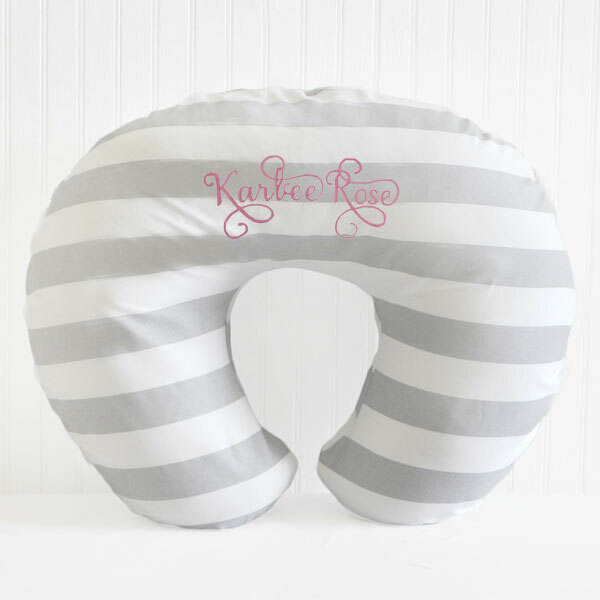 The Boppy Pillow TM has become a must have product for every mom because of its softness and versatility. 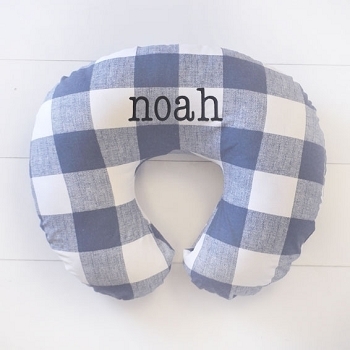 Not only is it a handy product, but it is also easy to change the style of your nursing pillow cover with boppy covers. Our Boppy covers fit snug on the standard Boppy Bare Naked Pillow to keep it clean, and give it a fresh look. Choose from a variety of fabrics and colors to dress up your boppy cover and coordinate it with other items in your baby's nursery! Select from floral boppy covers, tribal boppy covers, gold boppy covers, woodland boppy nursing pillow covers and more! We also have a variety of patterns available such as polka dot, stripe, chevron and arrow. Buy one or two extra slipcovers for back up. A zipper is included on the back of the boppy cover to make removal of the slipcover easy for cleaning. If you can't find the exact boppy cover for your boppy pillow, we are happy to make a custom one for you from any of our nursery fabrics! A boppy cover is a great welcome gift for a new baby or a shower gift before the baby is born. Look through all of our boppy covers to find the perfect one for you! Visit our baby bedding shop to see all of the coordinating crib accessories for your nursery!